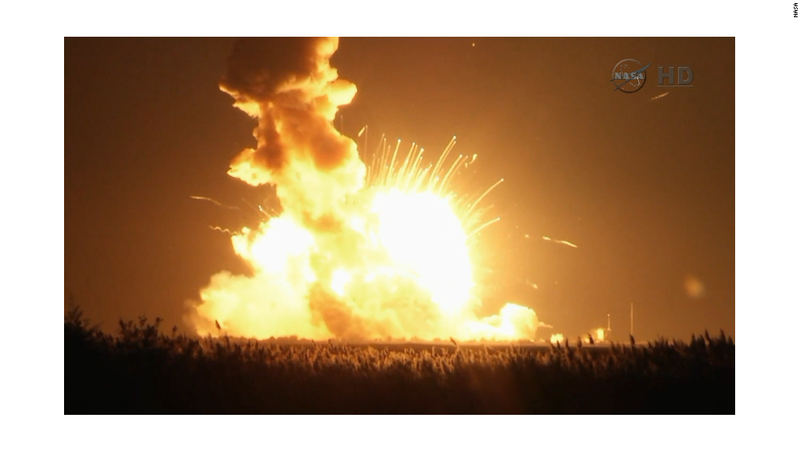 Shares of Orbital Sciences, maker of the unmanned rocket that exploded, plunged about 15% Wednesday. The rocket exploded shortly after it launched off the coast of Virginia Tuesday evening. Orbital Sciences (ORB) said in a statement that it will work closely with NASA and other government agencies to determine the cause of the accident. Orbital's Antares rocket was carrying supplies to the International Space Station. Nobody was hurt as a result of the explosion. The "mishap" -- as Orbital refers to it -- comes at a critical time for the company. Orbital was awarded a $1.9 billion contract from NASA in December 2008 to conduct eight cargo resupply missions to the space station. This was the company's third flight. Orbital CEO David Thompson said during a conference call Wednesday afternoon that it is too soon to tell whether its next mission will go out on schedule in April. But he said it is reasonable to expect that there will be a delay of at least three months. NASA also awarded a similar contract in December 2008 to SpaceX, the rocket company founded by Elon Musk, CEO of Tesla (TSLA) and also chairman of SolarCity (SCTY). Musk criticized Orbital in a 2012 interview with Wired, saying that "their rocket honestly sounds like the punch line to a joke. It uses Russian rocket engines that were made in the '60s." 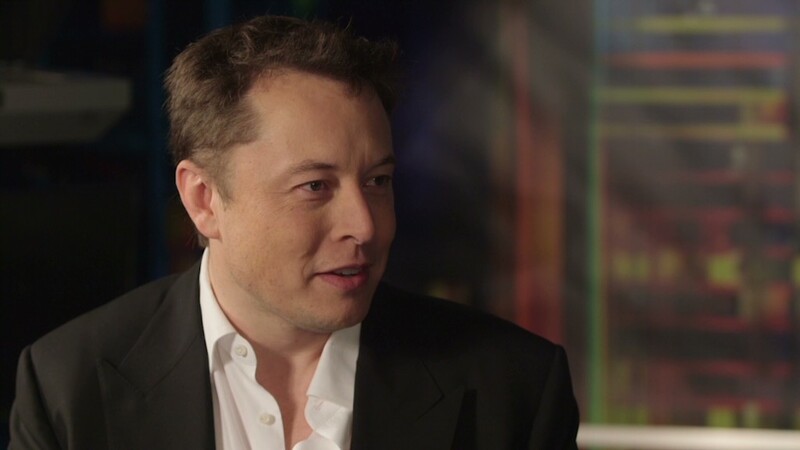 Musk tweeted Tuesday evening that he was "sorry to hear about the @OrbitalSciences launch. Hope they recover soon." Competition in the corporate space race is heating up. SpaceX and Boeing (BA) have both won multi-billion dollar contracts to make "space taxis" to transport astronauts to the space station. Boeing's spacecraft will launch from a rocket developed by United Launch Alliance, a joint venture of Boeing and fellow defense/aerospace giant Lockheed Martin (LMT). So it's understandable why Orbital Sciences investors are nervous. The NASA contract lasts only through the end of 2016. There is no indication as of yet that Tuesday's accident changes anything. But when the original contract was signed, NASA said that the value of the contract could go as high as $3.1 billion based on "production milestones." Prior to Tuesday, Orbital's stock had been a big winner on Wall Street. The stock was up 30% this year. The company reported earnings earlier this month that easily topped Wall Street's expectations. CFO Garrett Pierce said during the conference call that it was not changing its 2014 outlook as a result of the accident, adding that costs to repair the rocket are covered by insurance. Shares of Willis Group Holdings (WSH) fell more than 3% Wednesday. Reuters reported that Willis was the insurance broker of record for the Antares rocket. Pierce also said it's too soon to tell if there will be an impact to Orbital's 2015 earnings. The company has big expansion plans ... and the market might be worried about how the Antares explosion will impact that. Orbital has already agreed to merge with the aerospace and defense business of ammunition manufacturer Alliant Techsystems (ATK). Shareholders of both companies are set to vote on whether to approve the deal in December. Alliant said in a statement Wednesday "that it is conducting a thorough evaluation of any potential implications" resulting from the Antares explosion, including what it may mean for the merger plans. Shares of Alliant fell 5%. In response to a question from Jefferies analyst Howard Rubel, Thompson said there was no provision in the merger agreement about what would happen to the deal in the event of a rocket launch failure. He said he expected the deal would still take place.